Make a perfect gift every time on t-shirts, sweatshirts, hats and more for the billiard enthusiasts! 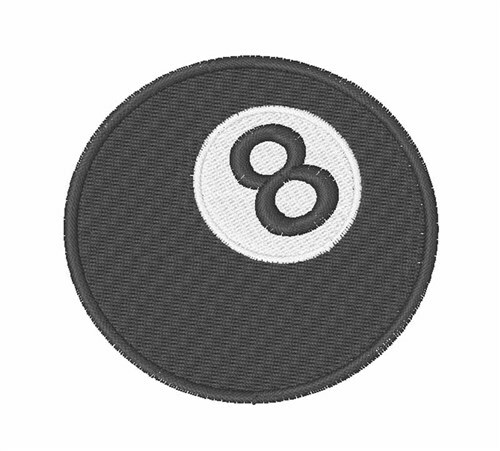 Easy Embroidery is happy to present Eight Ball machine embroidery design which has 6757 stitches and is [57.54 mm x 57.57 mm] large. If you would like to view more embroidery patterns please search on our embroidery designs page.